While we have many different ways to support our users; Tri-Lakes is now proud to offer On Site Technical Support to our subscribers in Stone and Taney county. 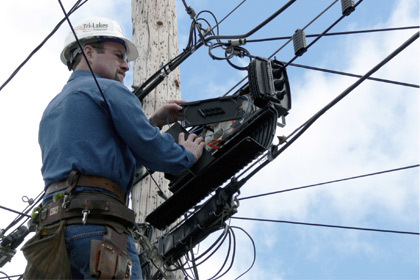 If we are unable to fix your issue by any one of our other methods of support ( online, email, phone) and you live in Stone or Taney County, we can schedule an appointment with you to have one of our on site technicians come to your home, or business, to attempt to fix the issue. Please call us for an estimate and to schedule services! We are experienced in Information Technology support and services for small businesses. Companies with fewer than 50 employees usually don't require a full time Computer and Network position. Tri-Lakes support staff can provide these services on call, on site and on time when you need us. We can provide remote monitoring services, SPAM filtering, Network Security services, and more. We can set up email servers, integration with telephone systems and telephone service over IP protocol (Voice over IP). 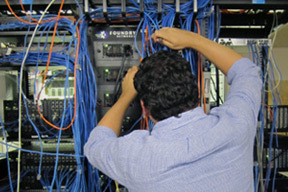 We can provide Data backup solutions, off site data security, and disaster recovery services. If you already have an IT staff, we can supplement your existing IT staff with high-end networking, communications solutions, programming, special projects, or simple break-fix services.